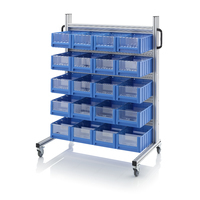 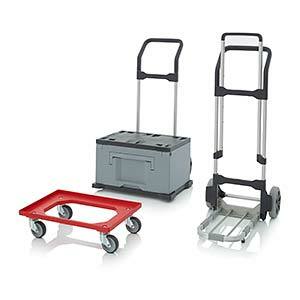 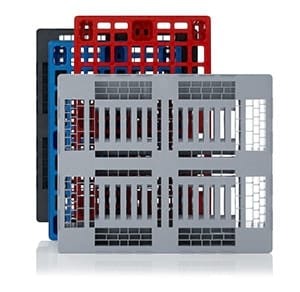 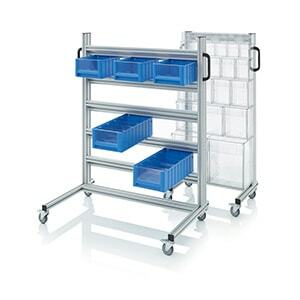 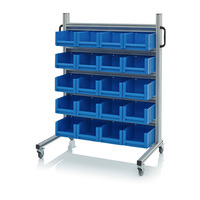 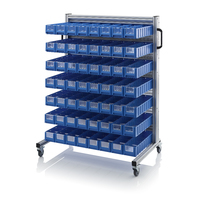 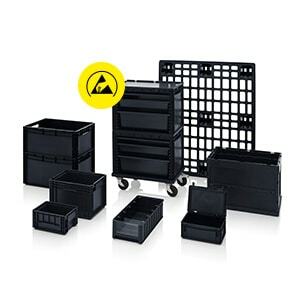 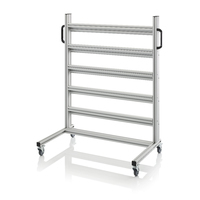 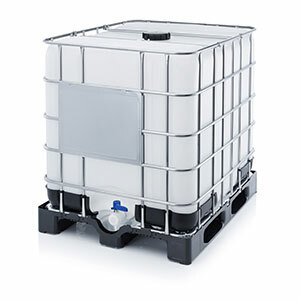 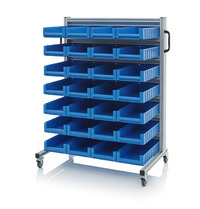 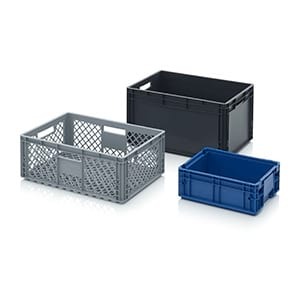 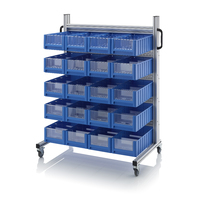 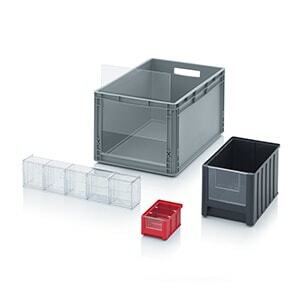 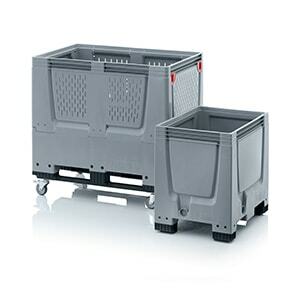 AUER Packaging's system trolley for rack boxes is outstandingly simple to use. 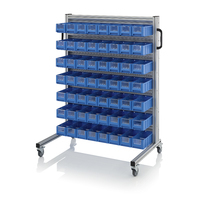 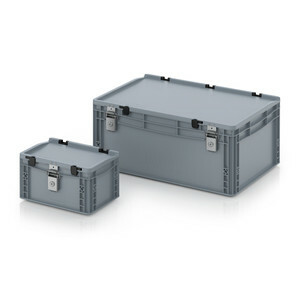 The rack and material flow boxes are simply suspended in the aluminium profile system which has been precisely configured for that purpose. 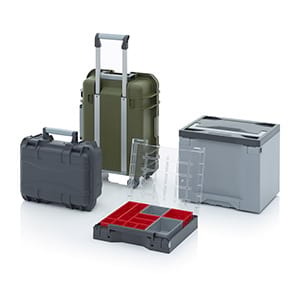 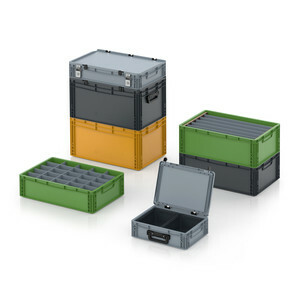 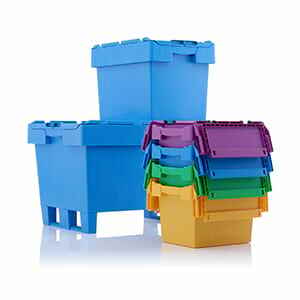 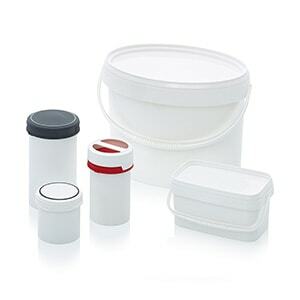 Everything you need for your operations is always exactly where you need it to be – and perfectly sorted too.